Class Map: What does a group class look like? Understand the layout and navigation or your class. You'll become familiar with the layout of a class as you create it 😀 Here is brief overview of the different areas of a group class. The top navigation bar will provide access to all parts of the class. Certain tabs appear for students only if in use, such as 'Critiques,' 'Submissions.' 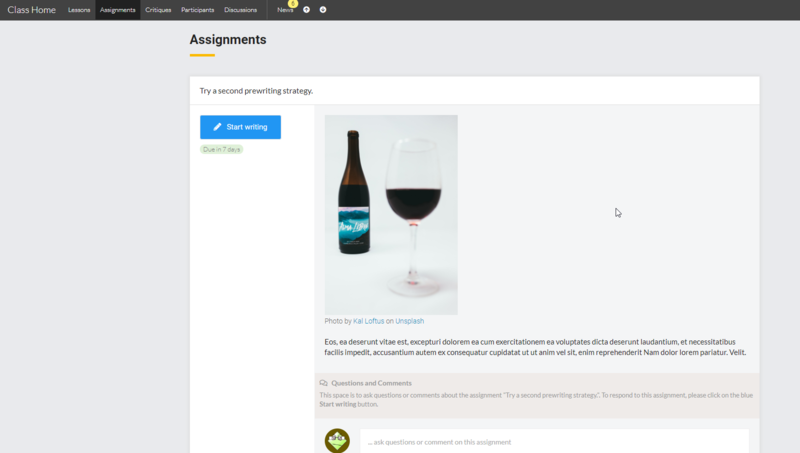 For example, Self-Paced classes look different and everything is driven off a Lessons page. To the far right, you'll see additional menu options, including access to your class administration. Latest Discussion or Announcement: The first space under the class title will show the latest announcement or discussion from the class. Class News: Here will list all the latest activity. You can also find this under the 'News' tab above. Deadlines: At the upper right, this will show all of the writing assignments, submissions, and critiques that are due. Students can start them right from the home screen or click on the titles to get more details. Class Resources: This space only if you choose to add class resources. They will also appear on the 'Lessons' tab. Lessons: This lists all the lessons in the class. Students can access them by clicking on the title. It will also show when a lesson is schedule to open for viewing (for classes that stagger lessons). 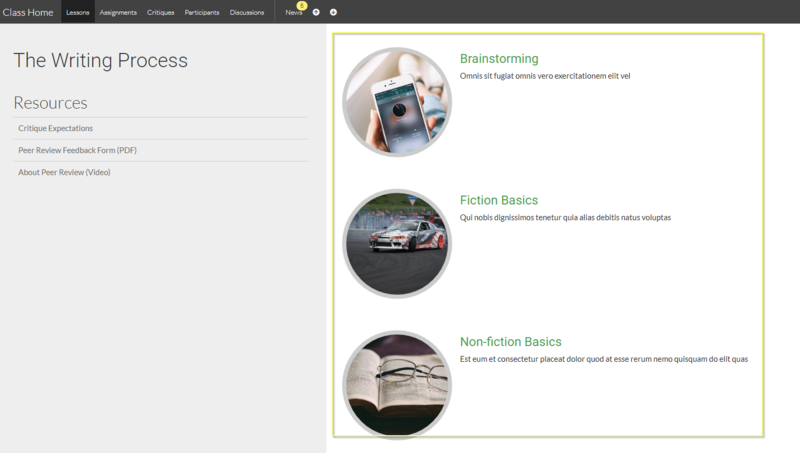 In the 'Lessons' tab, students will find all of their lessons and their descriptions. As students complete each lesson, the circle around the image turns green reflecting their level of completion. Submissions are used to request work from a specific student. This will appear to students if you schedule submissions during a running class. Here, students will find the submission schedule and any submissions that have been completed. This is a great tool for managing a workshop-style class. The critiques tab will list all critiques that have been completed and all critiques that need to be completed. 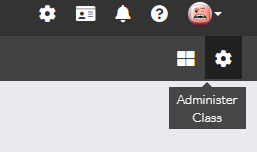 Critique settings can be set in your 'Class Admin'. This page will list all people in the class, including students, teachers, and administrators. Here is also where you'll be able to invite people and manage user permissions. This is also where you can view profiles and send private messages to students.